MODERN BALLET'S GREATEST DANCER STARS IN HER OWN PROGRAMME! As one of Russia's most celebrated ballerinas of the modern age, Natalia Osipova has moved leaps and bounds (pardon the pun) into new territory with modern dance. This three-part programme comprises works from three different choreographers. Osipova will be joined by by American Ballet Theatre principal David Hallberg. From her early beginnings as an eight-year old formal trainee to her debut with the world-famous Bolshoi Ballet at 18, Osipova is the byword for dance excellence throughout the ballet world. Having danced many of ballet's biggest roles, she has moved to different companies such as the Royal Ballet and our very own American Ballet Theatre in order to expand her repertoire, as well as her worldwide exposure. Sound good to you? 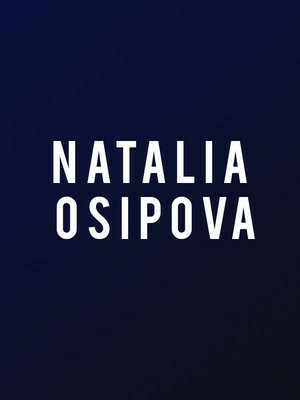 Share this page on social media and let your friends know about Natalia Osipova at New York City Center Mainstage. Please note: The term New York City Center Mainstage and/or Natalia Osipova as well as all associated graphics, logos, and/or other trademarks, tradenames or copyrights are the property of the New York City Center Mainstage and/or Natalia Osipova and are used herein for factual descriptive purposes only. We are in no way associated with or authorized by the New York City Center Mainstage and/or Natalia Osipova and neither that entity nor any of its affiliates have licensed or endorsed us to sell tickets, goods and or services in conjunction with their events.